10% Off Any In-Stock Boutique Items! Coupon good only at Hendrick Porsche Charlotte. Coupon must be presented at Hendrick Porsche Charlotte’s Retail Parts Department Cashier. Coupon cannot be combined with any other offer. Coupon has no cash value and is not retroactive. Coupon good only at Hendrick Porsche Charlotte. 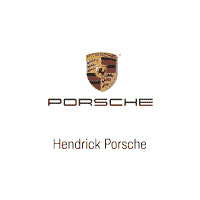 Coupon must be presented at Hendrick Porsche Charlotte’s Retail Parts Department Cashier. Coupon cannot be combined with any other offer. Coupon has no cash value and is not retroactive. Coupon is for DIY Price (not installed). Coupon good only at Hendrick Porsche Charlotte. Coupon must be presented at Hendrick Porsche Charlotte’s Retail Parts Department Cashier. Coupon cannot be combined with any other offer. Coupon has no cash value and is not retroactive. Coupon is for DIY Price (not installed). All In-Stock Luggage at DEALER COST!